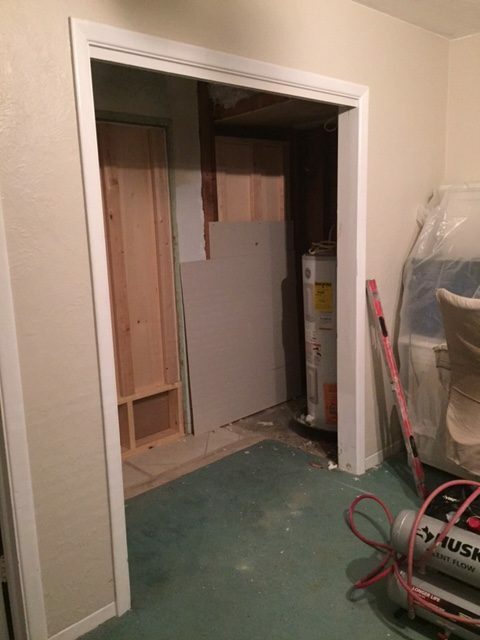 We started out with a normal size closet. There was a water heater in the closet so we removed it and put it in the garage. 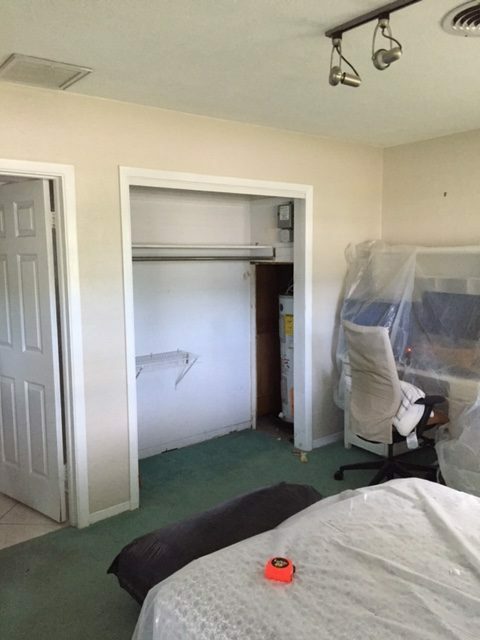 We wanted to make this closet bigger and apart of the room. 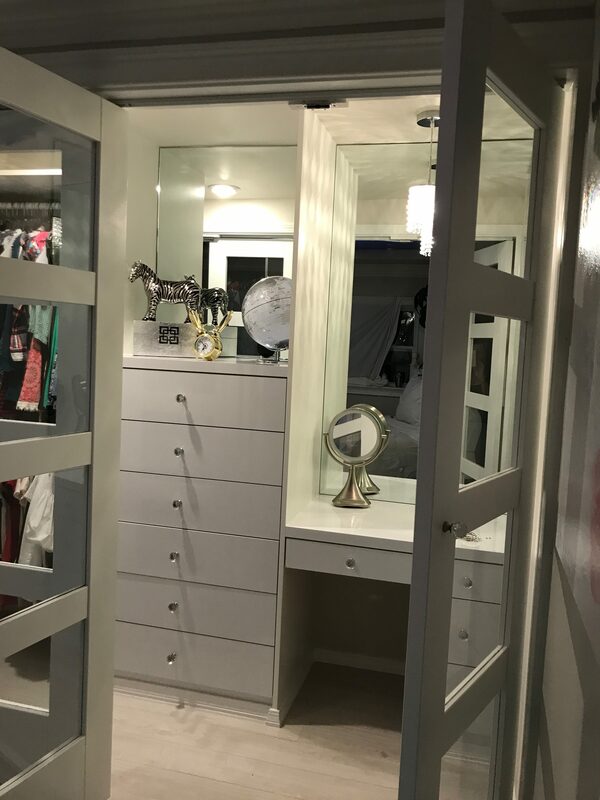 So a dresser was added and a vanity. We put better lighting and added mirrors to give it a larger effect. 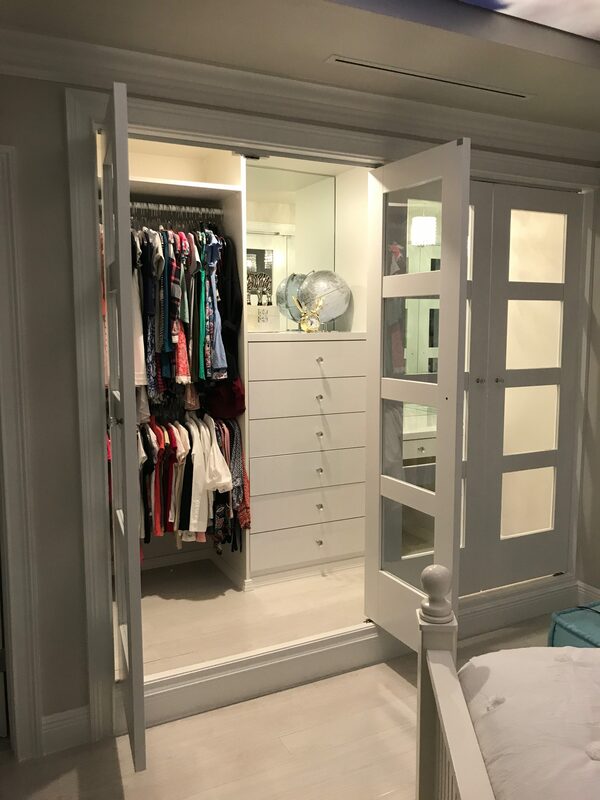 We put a step in the closet and bumped up the ceiling part and added a baseboard at the bottom and crown molding to the top. 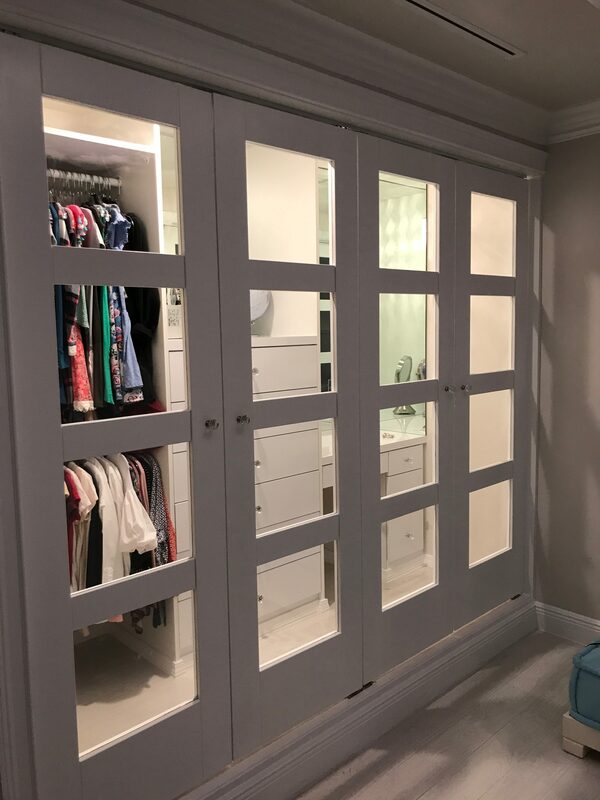 So this remodel job made this out dated closet to a beautiful modern one.